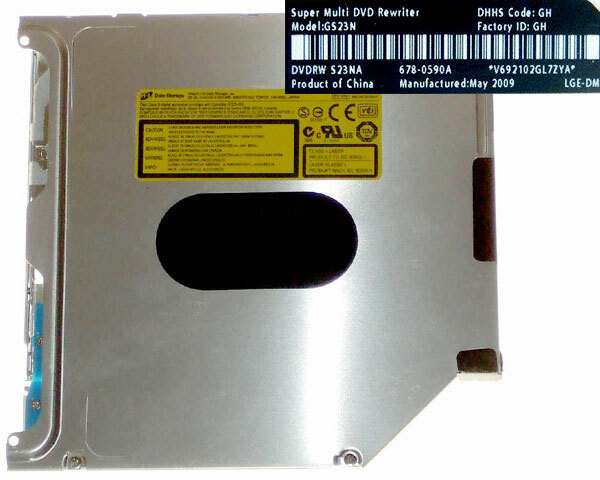 New, Apple OEM Hitachi.LG (HL) GS23N slot loading 9.5mm high superdrive with SATA interface suitable for the 13" and 15" mid-2009 models of Unibody MacBook Pro. The drive does not fit the original 13" aluminium Unibody MacBook or the original late-2008 15" Unibody MacBook Pro as some of the screw mounts are in different locations. This is a used and tested part from a recycled MacBook.